Have you any plans for the June bank holiday weekend? Well you have now! 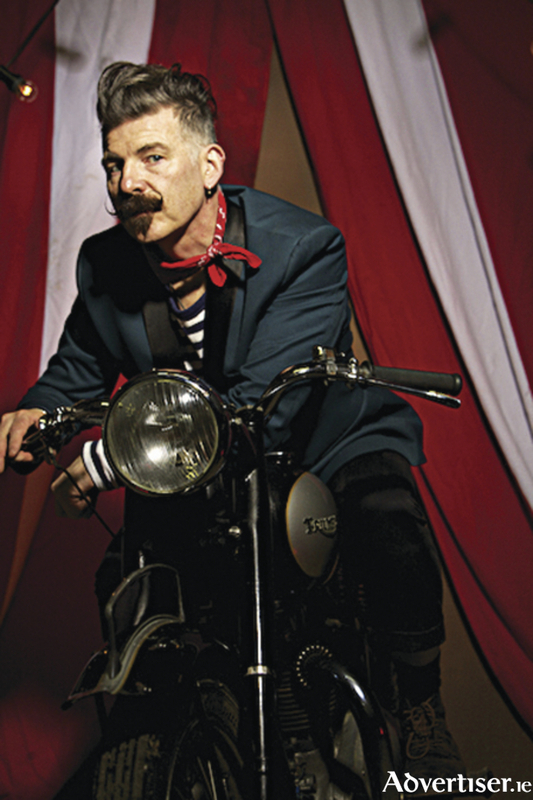 Roscommon Arts Centre have got the perfect show to get your bank holiday weekend off to a cracking start, with Jerry Fish back in town on Friday, June 2, at 8pm. Jerry Fish is a highly charismatic performer who refuses to allow audiences have anything but a good time. He routinely fills the country’s biggest venues with his swaggering vocals. Throughout the 1990s, Jerry was the main creative force and front man of the alternative rock band An Emotional Fish, giving us the anthem "Celebrate". His widely adored upbeat music includes the hit "True Friends" and two platinum selling albums - Be Yourself and The Beautiful Untrue. Fish is a regular performer at some of the biggest festivals including Glastonbury and Electric Picnic, where he holds court for the entire festival weekend. His tent hosts an array of music’s finest artists and his ‘End of the World Party' on the final night is legendary. ‘The Tall Tales of Jerry Fish’ is an intimate, stripped-down, theatre-style show in which Jerry performs his favourite songs from a career spanning more than two decades.